Together, CLEAR and GroGlo are bringing the hope of ready access to medicinal cannabis for the UK closer to reality. CLEAR Cannabis Law Reform and the people of the UK are tired of waiting for MP’s and ministers to give them a radical change in the law. That is why CLEAR has formed a partnership with the research arm of GroGlo, a UK-based manufacturer of high-power LED grow lighting to bring cannabis oil to the masses. The market for CBD products in the UK is booming, but all of the oil is imported from Europe or the USA. CLEAR and GroGlo plan to use the established glasshouse facilities owned by GroGlo in the east of England, hoping through light spectrum manipulation of the Finola industrial hemp strain to produce CBD concentrations of 40%, which is higher than much of what is currently on the market. That market was worth an estimated $85 million in 2015 and expected to increase this year. 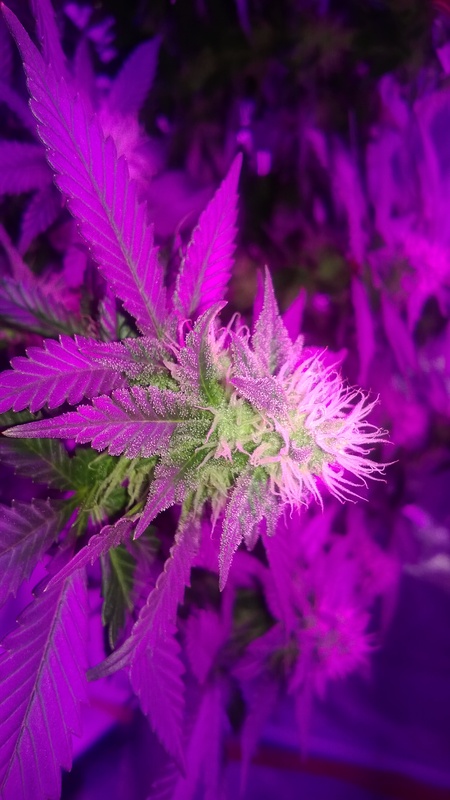 Universities in York and Nottingham with extensive experience will carry out CO2 extraction during the R & D phase, using high-pressure liquid chromatography to test each crop for cannabinoid & terpene content, as well as heavy metal content and other possible contaminants. The results will be fed back to cultivation in order to further increase yield and quantity. Arguably as important as the quality of the medicine is the method of delivery. To get the most effect, they need to obtain the most precise pathway into the system for ideal results. Smoking is a reliable method of self-titration, allowing fast absorption. But high temperatures degrade the terpene profile of cannabis, reducing the full potential of what is known as the ‘entourage effect’, or how cannabinoids and terpenes work synergistically to enhance each other’s effects. CLEAR says the oral spray for Sativex is unpopular with patients for the unpleasant oral irritation it causes in some cases, and although mucosal absorption is faster than edible forms absorbed through the stomach and intestines, some of the oral medicine is inevitably ingested, giving a different experience. CLEAR believes that vaporization is the best choice of delivery method, allowing for full terpene and cannabinoid profiles to be preserved, fast absorption, and effective dosing without an unpleasant medicinal experience. They intend to source a vape pen manufacturer to comply with their requirements in the production of a medical grade delivery system. The demand for legitimate medicinal cannabis products in the UK is overwhelming and is only going to increase with the inevitable progress towards law reform and increasing awareness of the benefits of cannabis provided through research and the examples of Canada and a number of states in the US. Together, CLEAR and GroGlo are bringing the hope of ready access to medicinal cannabis for the UK closer to reality. Is the UK ready for comprehensive cannabis law reform? Tell us what you think on social media or in the comments below.